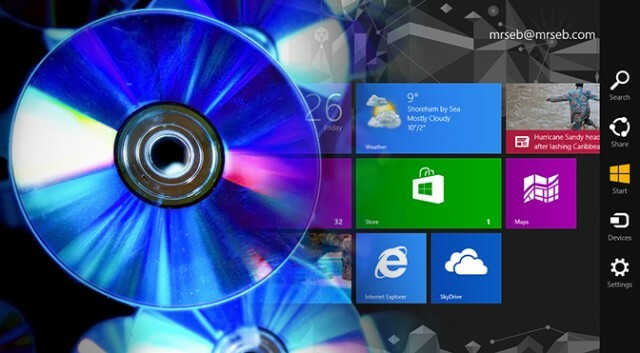 Microsoft have made the decision to remove DVD playback in Windows 8, and forego the inclusion of Blu-ray playback. If you like watching DVDs or Blu-rays on your PC, you'll be disappointed. There is a very simple reason for this: The codecs required to play DVDs and Blu-rays - primarily MPEG-2/4 for video and Dolby Digital for audio — cost money. For every copy of Windows 7 sold, Microsoft has to pay MPEG-LA (a patent-holding consortium) $2. Microsoft doesn't give the exact figure for a Dolby Digital license, but it's probably in the same ballpark. This cost is passed on to the consumer, whether you play DVDs or not. For Windows 8, with streaming services taking hold and optical drives dying out, Microsoft basically decided that it wasn't worth paying for the codecs. Once you have Media Center installed, you will be able to play DVDs — but only in Media Center, not Media Player. You also gain the ability to watch and record broadcast TV, if you so wish. You won't, however, be able to play Blu-ray discs - for that, you'll need a third-party player. 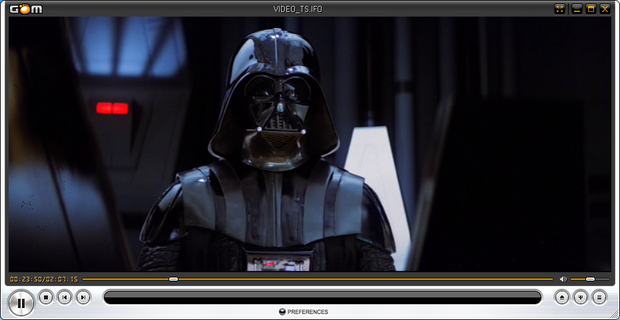 VLC has been around for over a decade and is one of the most popular media players available -- free or otherwise. It ranks No. 1 for video players at CNET's Download.com and has been downloaded over 47 million times. One of the reasons for its popularity is its support for a wide variety of audio and video file formats including all of your DVDs and unencrypted Blu-ray discs. 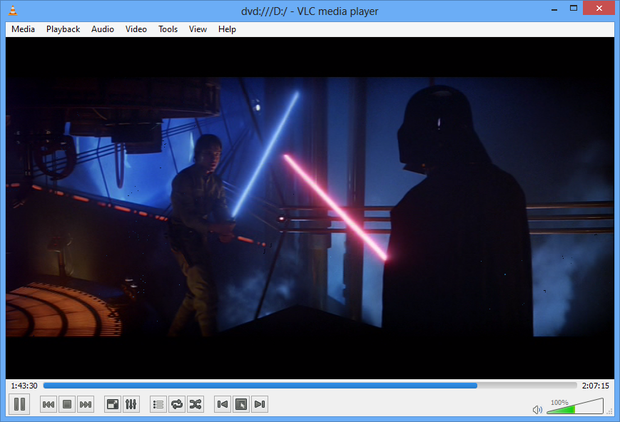 VLC will also play encrypted Blu-ray discs, but that’s beyond the scope of this story. GOM is another very popular media player that can play DVDs on Windows 8. It also supports a plethora of file formats and is easy to use. In order to achieve DVD playback, however, you may need to follow its FAQ on installing the MPEG-2 codec. An official Windows 8 version is in the works, but the current version seems to work fine in Windows 8. 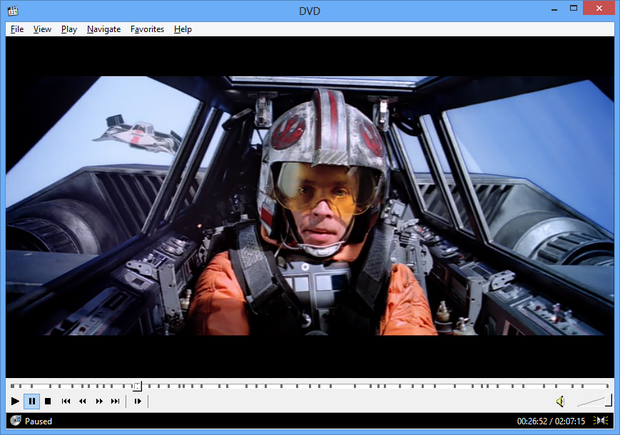 MPC-HC is a lightweight media player for Windows, based on the older Media Player Classic. It's not flashy, but it's small and offers a lot of customization options. In case you don't want to install so much video player, why not directly convert DVD or Blu-ray format to let it play smoothly on any media player? Excellent EaseFab Windows 8 Blu-ray Ripper is ready anytime for you to use.It's an ideal DVD & Blu-ray ripping and copying software that allow users to digitize Blu-ray and DVD collection without quality loss. The program converts any Blu-ray and DVD movies to MKV, AVI, MP4, WMV, FLV, MOV, etc. with fast ripping speed. And it also allows backing up your DVD and Blu-ray movies with 1:1 original quality in only one-minute. Try it now!